The Wales International Piano Festival will be held from 29 April – 2 May 2016 at Galeri, the iconic arts centre in Caernarfon. This year’s festival has a new Director, pianist Iwan Llewelyn-Jones and is the third festival to be presented by Canolfan Gerdd William Mathias (CGWM/The William Mathias Music Centre). The festival comprises concerts, competitions, masterclasses, workshops, lectures and interviews with guest artists. Peter Donohoe, acclaimed international pianist, opens the festival on Friday 29 April at 7.45pm in a recital of works by Ravel, Debussy, Scriabin and Rachmaninov. A former winner and recent jury member of the Tchaikovsky International Piano Competition, Peter Donohoe will chair the Jury for the Senior Solo Piano Competition. The first of three piano competitions begins on the morning of Saturday 30 April with the preliminary stage of the Junior Solo Piano Competition; the final round takes place on the afternoon of Sunday 1 May. 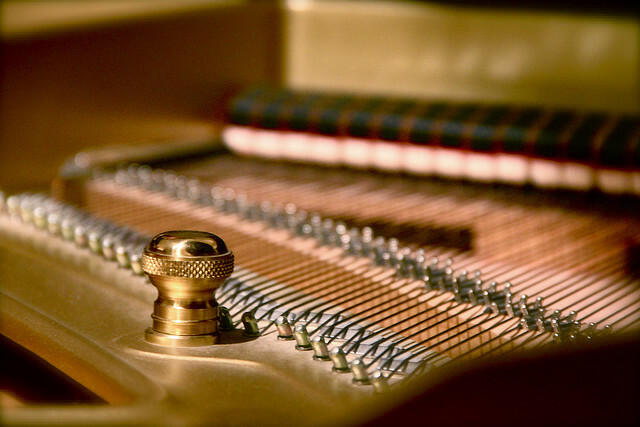 The Senior Solo and Piano Accompanist Competitions begin on the morning of Sunday 1 May (preliminary rounds) with the public finals on the afternoon of Monday 2 May. Participants come from all over the UK and abroad. At lunchtime on Saturday 30 April, there will be a concert entitled ‘Satie on the Sidewalk’, celebrating the music of Erik Satie. The evening concert on the 30 April at 7.45pm showcases the versatility of Welsh music and musicians, featuring six world premieres of specially commissioned short works for solo piano, inspired by images and words on the theme of ‘Peace and Remembrance’. Three works are by young, upcoming composers and three by renowned composers of international standing: Paul Mealor, well known for his anthem for the marriage of The Duke and Duchess of Cambridge; Richard Baker, noted for his orchestral and chamber music, and Owain Llwyd who is at the cutting edge of film and media composition. The young composers are Luke Lewis, Mared Emlyn and Maja Palser. The Festival Education Project reaches its climax in this Saturday evening concert with the premiere performance of a new work for chamber ensemble by four young A-level students. This three-movement composition with accompanying fanfares will be performed by instrumentalists from CGWM. On Sunday 1 May at 7.45 we go into ‘Fiesta’ mode when the piano take centre stage to raise the roof with other instrumentalists, singers and narrators in a concert of music from across the globe including Lambert’s Rio Grande, Poulenc’s delightful setting of Babar the Elephant and Milhaud’s Scaramouche. The programme features five pianists, including Festival Director Iwan Llewelyn-Jones, and the CGWM Chamber Choir. On the final morning, Monday 2 May, two fun events will be held in Galeri’s atrium: ‘Coffee and Croissants with Chopin and Debussy’ at 10.00am and at midday, the ‘Pianothon’, where pianists of all ages and abilities have an opportunity to tinkle the ivories. The Wales International Piano Festival will be held from 29 April – 2 May 2016 at Galeri, the iconic arts centre in Caernarfon. This year’s festival has a new Director, pianist Iwan Llewelyn-Jones and is the third piano festival presented by Canolfan Gerdd William Mathias (CGWM/The William Mathias Music Centre). The festival comprises concerts, competitions, masterclasses and workshops. 7:45pm – 9:30pm, Galeri Caernarfon. This concert features seven world premiere performances showcasing Welsh composers and performers. Premieres include two Festival commissions: a set of six piano preludes on themes of ‘Peace and Remembrance’ with visuals; and a new work composed by A-Level students as part of the Festival’s Education Project. Festival Youth Commission, composed and performed by Math Roberts Gwenno Morgan, Elain Rhys Jones and Pippa Scourse alongside other young musicians from CGWM. 2:00pm – 3:30pm, Galeri Caernarfon. Solo performances from finalists from the UK and abroad. Each finalist will perform a programme of solo piano music not exceeding 15 minutes to include a work composed during or after 1946. 7.45pm – 9.45pm, Galeri Caernarfon. 2:00pm – 5:00pm, Galeri Caernarfon. Competitors for the Senior Solo must perform a programme of solo piano music not exceeding 25 minutes, including a work composed after 1946. Competitors for the Accompanists Final must prepare a programme of instrumental and vocal music drawn from a prescribed list. 1. Which living pianists do you admire today and why? There are countless musicians all over the world and it is a very difficult to have to choose my favorite but a few whom I admire the most are Andre Mehmari a native of Brazil – who I think is one of the most multi-talented pianist/composer of both classical and jazz/pop genres, of his time; and Christopher O’Reilly – a colleague of mine from the New England Conservatory of Music. I have learned so much from him and am constantly inspired by his amazing repertoire and versatility he brings as a host to NPR’s From the Top, as well as his own well-known piano arrangements of songs by alternative artists. However, there is one man who, although no longer with us, was (and is) probably one of the most influential person in my career and life: Anthony Di Bonaventura. As a student at NEC, I found myself becoming frustrated with my playing and needed guidance if my studies were to continue. Bonaventura, a pupil of the celebrated Russian teacher Madame Isabelle Vengerova, took me under his wing and changed the way I saw not only music, but relationships and life. Through the Vegerova technique, I found new purpose and drive that has made me the pianist, composer, and teacher I am today. I can still hear his voice in my mind when I practice, and now I hear myself speak in the same manners as he did, to my own students. What is even more wonderful are the accomplishments that my students are making individually through competitions and annual performances- thanks to Anthony Di Bonaventura. 2. Can you shed light on your current projects and concert schedule? My latest composition, The Nightingale was debuted at the Kaleidoscope Series at Rider University this past Spring 2015. I started this piece back in 2006 when my daughter was just 9 years old while we were still reading fairy tales and creativity was a huge factor in our lives. I did not, however, anticipate the adversities of raising a child that made me put this lovely story on hold until I could find the space to revive and eventually complete. Composing has always been a gift that I could never take for granted, since the age of eight. I am a sporadic writer though the music is continuously turning in my head until I have the time to write it down, creating my next piece. My music Variations for Piano on O God, Our Help in Ages Past (18th century Hymn of William Croft) was performed by a wonderful pianist and colleague Paul Kenyon -The concert is being presented to raise awareness and financial support for the Community Christian Service Agency, “an ecumenical organization of Christian Churches providing assistance to persons having emergency needs.” Dr. Kenyon’s program will include classical piano repertoire from across three centuries and is inspired by sacred themes of worship and praise. Starting with the music of J. S. Bach and progressing through works of Franz Liszt and more recent compositions by myself and Kirsten Shetler. In addition, this year I received the Hall of Fame Award from my high school, Watchung Hill Regional High School. It warms my heart to think that I might be inspirational for students who aspire to have a career in music! As for upcoming projects, I do have a new venture that I would like to start on this year. I plan on composing a documentary based on a local Chinese folk song that will portray my daughter’s journey from China to growing up in the US. All of the families that I met in China in 1998 have kept in touch through Facebook and now our daughters have graduated and are off to college this Fall for an amazing journey. I just want to have pictures and music in the background for an intimate chamber piece. In 2016, I will be performing on a Westminster Conservatory Faculty Series “Captivating Imagination Through Musical Storytelling” in Bristol Chapel, Princeton, NJ. 3. 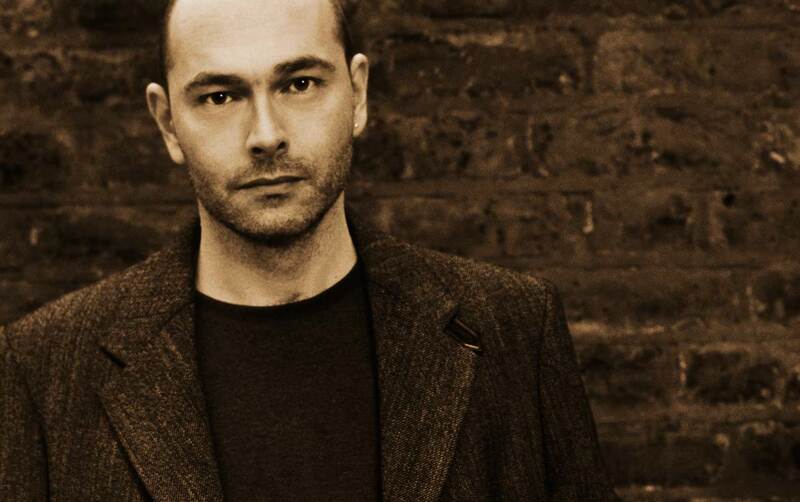 How has your life as a pianist and musician changed since I last interviewed you back in August, 2012? Since my last interview with Pianists from the Inside, I have devoted countless hours on educating myself with better ways to promote myself through social media. I have found it to be quite exciting how one can connect with the world and have met so many talented musicians in the process. Through my colleagues and even some of my students, I have learned so much, so quickly about technology it is really quite amazing. As an entrepreneur who runs two companies, (Elegant Entertainment & Co. and Comune Music Press) as well as a private practice, my upcoming year is still unpredictable. I am maintaining my private studio as well as teaching at several accredited institutions, but I also hope to take on new ventures as they come. As I have mentioned before, I have found social media and the internet in general to be paramount to maintaining my business. I am now a part of websites that reach all over the world, allowing me to network with artists near and far. Doing this has also allowed me to take the time to listen to my colleagues and competitors regarding their businesses and music. I have been able to build my fanbase with Reverbnation; Pandora and now the new launch of Apple Music! 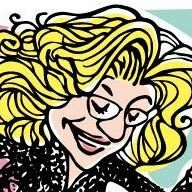 One website that has made a profound difference in my business is, about.me. It is a personal web hosting service co-founded by Ryan Freitas, Tony Conrad and Tim Young in October 2009. The site offers registered users a simple platform from which they can search a database of online identities like their own, relevant external sites, and have access to popular social networking sites such as Facebook, Flickr, Google+, LinkedIn, Twitter Tumblr, and YouTube. Within the year that I started using about.me, I have accumulated over 150,000 views and increased my fan base greatly – and furthermore, increasing sales. I have published (Comune Music Press) and scored two new compositions for solo piano : Farm of Dreams and Reflections for the older student who would like to play a more popular/classic style or better known as New Age. I am in the process of scoring, The Nightingale – based on the story by Hans Christian Anderson. My daughter Gealyn (16) and I had the honor of performing Mosaic for 2 pianos for Dianne Goolkasian Rahbee’s 75th Birthday Celebration Marathon with musicians from all over the world performing her music – River’s School Conservatory, Weston, MA. Kaleidoscope Chamber Series presents “Ensemble for New Music,” featuring recent compositions by Westminster Conservatory composers. This Westminster Conservatory faculty series is dedicated to chamber music of all centuries, placing emphasis of repertoire that explores the tone colors made possible when voice and instruments from different musical families – string, woodwinds, brass, or keyboard – are combined. I have had the opportunity and privilege to debut my original compositions and collaborate with my colleagues annually. It gives me a lot of inspiration just knowing there is this wonderful venue to work towards. Westminster Conservatory – Honors Program keeps me extremely busy during the academic year coaching chamber ensembles and piano performance classes. I enjoy researching new music each year and discovering living composers to feature at the Young Artist concerts. I also accompany the Woodwind scholarship competitions early spring with challenging repertoire. In the past few years, I have become involved in several piano competitions including, but not limited to, New Jersey’s Music Fest. As a faculty member of the Westminster Conservatory, I am able to prepare my students for Music Fest-Rising Talent Competition. I have had 1st, 2nd, and 3rd Place winners for Solo and Chamber pieces culminating with performances in prestigious halls such as Carnegie Hall and Merkin Hall (Kaufman Center) in NYC. 4. How do you believe Piano music makes a difference in people’s lives? I never really had an agenda when I started composing music in a marketable manner. It was about the time in my life where I settled down and experienced new chapters in my life- as a wife, mother and composer. Having a life and a family in the beautiful town of Jupiter, FL was much more relaxing compared to my residency in Boston for 20 years and growing up in a family of seven outside of NYC. I felt like a child at the age of 40; snorkeling, kayaking, and just loving living an outdoor lifestyle in tropical weather 24/7. There was something about my reaction to the change in scenery that allowed my creativity to flow and I found myself writing for 10 hours a day for years. My music has had many outlets from background music to being played during the birth of a child, to the Chemo ward of Carol G. Simon Cancer Center at Morristown, NJ. There was a time when I was recovering from major surgery and my colleague and compositional teacher lent me a music book of French Carol’s and Gregorian chants from the 16th century. After my recovery and from listening to and playing through the music I was given, I wrote like there was no tomorrow from the source of energy it had given me and ended up creating, Season of the Light- a collection of Advent and Christmas carols, Gregorian chants to 16th Century French and Traditional for voice, trumpet and piano. Every year during the Holiday Season, I challenge myself to compose a new setting and send as a Seasonal Greeting card..it makes me feel good and my colleagues are always pleasured by the inspiration. On a lighter side I was asked to play New Age/ classical music for a candlelight dinner affair at the New England Aquarium in Boston, MA. The dinner tables were in a spiral set-up surrounding penguins who were making quite a racket before I began playing. Within 30 minutes you could not hear the penguins anymore and the keepers of the Aquarium became concern and to their surprise found all the penguins either resting, asleep or caressed in another penguins lap…some even looked like they fell in love. So, my music apparently had quite an effect in the almost amusing manner that evening! 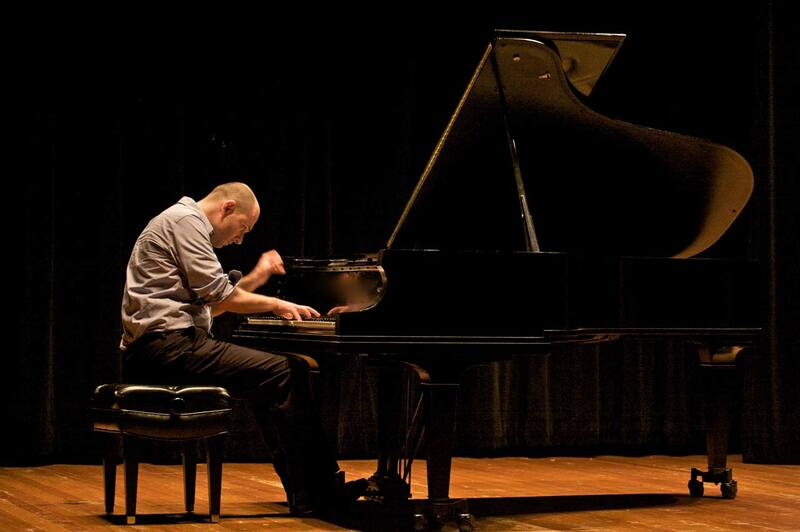 Internationally renowned pianist Llŷr Williams continues his residency concerts at Galeri as official resident pianist. In 2005 Llŷr received the Outstanding Young Artist Award from MIDEM Classique and the International Artist Managers’ Association. Furthermore, in 2009 he was awarded the Glyndŵr Award for an Outstanding Contribution to the Arts in Wales. Buechner was awarded the first Beethoven Fellowship of the American Pianists Association in 1981. She was a prizewinner for piano at the 1983 Queen Elisabeth Music Competition. 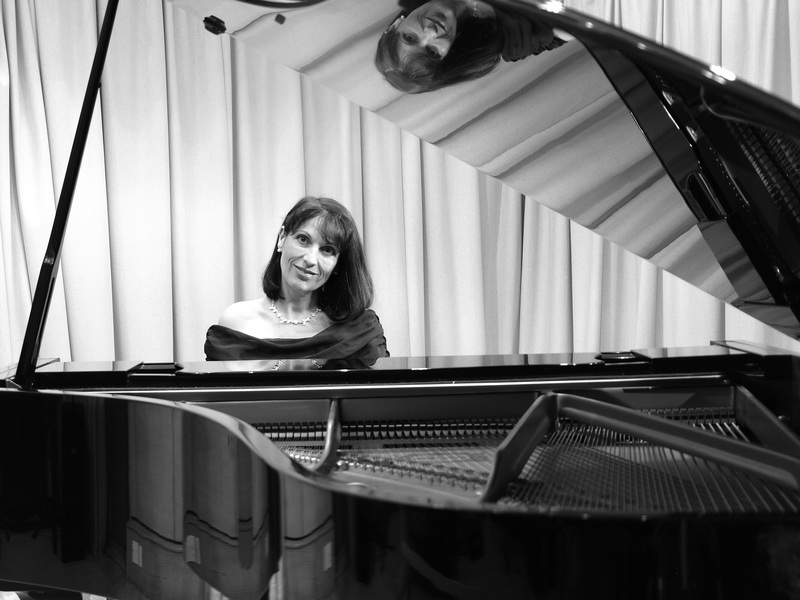 She was awarded the Gold Medal at the 1984 Gina Bachauer International Piano Competition, and won a Bronze Medal in the 1986 Tchaikovsky International Piano Competition. I grew up in a suburban household where my mother was greatly concerned — as were many American parents of the time — that my brother and I should attain a good education and cultural exposure to which she and my father did not have ready access. In addition to a pronounced emphasis on good schoolwork and study, we were both given piano lessons from a local teacher who, fortunately, was a marvellous young musician herself. Her name was Veronika Wolf (now Veronika Cohen), and later she made her mark as a pioneering composer of electronic music and Dean of the Jerusalem Academy of Music and Dance. At age 18, she was pursuing a degree at the Peabody Conservatory in Baltimore, and earning side money teaching piano to children. Miss Wolf brought me to — or should I say, brought to me — the world of rhythmic clapping exercises, “A Dozen a Day,” and Bartók’s Mikrokosmos. She did not want to teach me at first, as I was just 3 years old (my brother was 5), but when she tested me at the piano, I could read the notes without any instruction at all, and could play all of my brother’s pieces from the Leila Fletcher Book I. Many years later, she told me that my touch was “soft and sure.” I’m still proud of that quote. My mother noticed that I would stand, glued to the spot in front of the radio at that time daily — the music just galvanized me so. Even today, when I hear the rustling string 16th notes of that Overture, my chest begins to palpitate with excitement. Call it the splendour of knowing that one is alive. My main teacher as a youth (after Veronika) was the Filipino virtuoso Reynaldo Reyes, and from the age of 11 onwards he trained me to perform not only in student recitals but also by way of competitions — local, then national. After I left Baltimore for New York City and Juilliard (where I worked primarily with Rudolf Firkušný), I entered a fair number of international competitions. I was fortunate to gain some prizes, which spread my name and reputation, and eased my way to establishing a performance career. I was the Gold Medalist of the 1984 Gina Bachauer International Competition, and got a Bronze Medal in the Tschaikowsky Competition in Moscow as the highest-ranking American pianist, in 1986. There are too many music competitions overall, and these days it seems that everyone has a prize on their resumé from some place — so that the meaning of a competition prize is pretty much de-natured. Moreover, the way of attaining a prize is usually in a polar opposite way of establishing oneself as a unique artist. So many pianists simply playing the same old same old repertoire (Beethoven Sonatas, Chopin Ballades, Prokofieff showpieces) in the same way, fearful of offending someone with an original approach. So many judges (many of them failed performers, I might add) expecting to hear that repertoire played in the same way, so they can easily opine on what they hear as validating their own thoughts about it. None of this is good for young musicians, and it is certainly not good for classical music in general. One thing I used to do when I entered competitions, was to make myself learn new repertoire that was infrequently programmed. Consequently, I often found myself playing pieces in competitions that no one else was playing, and often the judges did not know — Bartók’s Etudes, Janacek’s Sonata, Busoni’s Toccata, Martinu’s Fantasy and Toccata, et al. If there was a recital component of free choice, I looked at that as a tremendous opportunity to expand my boundaries in terms of stage presentation. Off the top of my head, I can surely name 10 fantastic composers (not including contemporary living ones) whose keyboard music is never played in competitions — Frescobaldi, Sweelinck, Byrd, Weber, Dussek, Dvorak, Szymanowski, Turina, Krenek, Yashiro — there are many, many more. Giving sound to neglected masterpieces is one way of reaching your ultimate artistic goal — not be merely replicating that which has come before, but finding new ways of expression and creativity. If a competition can further this process, then it can be a good experience. It is always good to learn how to perform on stage with pressure and control — this must be done all through a musician’s life, so to cope with it early is a good thing. Probably the best outcome of entering a competition, regardless of prizes won or lost, is to develop a feeling for the stage. Such experience is crucial. But when a competition is entered just to make some money or get your name around, then the focus on the big picture — the calling of musical artistry — is lost. I have played and recorded a fair amount of new music, because I do think it is important to know the new generation of rising voices, and to help promote those whose vision seems enlightened. Two years ago I commissioned the Japanese composer Yukiko Nishimura to write me a set of Études, and I am now playing that set (of ten) on many of my concerts. I’m also very keen on the young composer-pianists Jared Miller and Michael Brown, both of whose scores I have played in public. Of the older American composers, to my mind John Corigliano towers over all — his Piano Concerto of 1967 is the greatest American work in that mold after Barber’s. And I think the piano music of Leon Kirchner is stunning, as well, and should be better known. In my college days I was very aware of contemporary music, mostly in a negative way as the dominant attitude in 1970s-80s New York was simply, well, either you liked and handled hideously complex atonal scores, or you weren’t smart enough to play new music. It was a relief to me when Minimalism came of age and re-booted young composers to the idea that there’s one than one way to express things sonically. Young composers today write in a wide variety of styles. So there’s really no excuse for pianists today to shrug off the obligation of promoting music of our time, with the phrase “I don’t like contemporary music because it’s atonal / too complex / ugly.” Anyone who says such a thing, hasn’t kept up with music responsibly. I am nevertheless wary of new music “specialists,” who sometimes become so because their technical insufficiencies are easily exposed when they play Bach or Beethoven. Some of the least competent concerts I have heard, were of contemporary scores whose composers should have been incensed about what the inadequate performer did to their work. And I don’t enjoy the feeling when I attend a new music concert, often surrounded by composers and new music fans, that I should display enthusiasm for everything performed. Like baseball games, a lot of new music concerts are dull, with music of little inspiration or feeling for audience connection. If you experience the hearing of a masterpiece in its first performance — as I did with the première Gyorgy Ligeti’s Piano Concerto in New York City — you will know it, I guarantee you. In listening to new music, or in choosing new music to play or new composers to champion, I keep this dictum in mind: that the technique of expression is not important compared to the value of the message or emotions being expressed. If music does not speak and touch the heart as well as the mind, then it is not good music. The connection of music across cultures and centuries is of utmost importance. Sometimes I fashion my own recitals with a curator’s mind, which is why I might pair works of Bach with those of Schoenberg due to the shared emphasis on polyphony; or late Beethoven with Fauré and Thomas Adès because of their spiritual natures; or play Rhapsodies by Tomasek, Liszt, Brahms, and Gershwin. It’s like going to the art museum — how wonderful to see the Virgin Mary as portrayed by El Greco, by Picasso, by Chris Ofili (of elephant dung fame!) — see the connections and contrasts. Hear the universal search of humankind. So to say, I’m not interested in New Music. I’m interested in All Music. I do feel uniquely blessed to have had a wide array of astounding teachers, and I could write for a very long time about them all. My technical approach is very much derived from the Busoni School through his pupils and grand-pupils that I worked with: Mieczyslaw Münz, Reynaldo Reyes, Ann Schein, Edward Weiss, Gunnar Johansen. In my adult years, my most influential teachers were Byron Janis and Rudolf Firkušný. The latter in particular, with whom I studied for four years at Juilliard — playing for this magnificent artist was simply the most inspiring and unforgettable experience of my entire musical life. Firkušný taught in the way that I consider the most efficient and informative, by means of demonstration. When he sat at the second piano to show me something (he always played perfectly, at any given hour, and with the modest disclaimer “well, I do it like this”), my eyes and ears perked to maximum awareness, so that I might be able to effectively copy his beautiful sound and inimitable timing. Münz and Reyes taught in similar fashion. Byron Janis could not, because of his rheumatoid arthritis, but his gruntful singing accomplished almost as much! You must depend upon a teacher as a role model, and later fashion your own approach upon that sturdy foundation. I think it is crucial to study the piano with someone who knows well the experience of playing successfully in concert. Research into the lives and musical careers of my own teachers led me to a lot of revelations about pedagogy and different schools of pianism. It amazed me, for example, to see film of the French virtuoso Jacques Février playing (the Poulenc Double Piano Concerto with the composer) — for his hands and fingers, and the way in which he used them on the keys, looked like mirror images of his pupil Reynaldo Reyes’ hands, and of course Reynaldo taught me to shape my hands the same way. The sense of apprenticeship in music teaching is fundamental. Whenever someone plays the piano, there are echoes of teachers and grand-teachers in the fingers, the body, the phrasing and sound. I must admit that I rarely listen to piano concerts these days, as my own hours are so full of my own practicing, that my ears are already overworked! When I have some free time, I’d much rather take a long hike, visit the bookstore or art museum, see a movie, or go to a baseball game (I am a longtime fan of teams on both sides of the Pacific). I’m more likely to attend symphonic or choral concerts than piano recitals. And it has been a long time since I went to concerts to study, copy or learn, as I did often in my Juilliard days. I feel like I have my own style of playing now, and when I listen to other pianists, regardless of how good they are, my critical teaching ears start to grind and churn. I truly hate that! — It’s a bar to true enjoyment. When I hear jazz pianists, I am much happier for I can relax and really listen the music, as an audience member should. I don’t want to give the impression that I’m not aware or appreciative of other pianists’ work, of course. There are so many fine pianists performing publicly now, and of course the Internet is awash in them. For myself, I love the recordings of Dinu Lipatti and Clara Haskil in particular, in addition to those by my teachers Janis and Firkušný. The sounds they make are familiar and serendipitous to my ears. And I still play for other pianists, too — for the legendary American pianist Reah Sadowsky who was a dear friend until her death two years ago, and most recently for the great Austrian pianist Paul Badura-Skoda, both in the USA and in Vienna. He’s an astounding inspiration to me, and I feel so grateful to learn from such an artist. I heard him play two recitals in Japan last year that I’ll never forget, so spiritually powerful they were. Perhaps your toughest question. For we live in times of diminished appreciation of all culture, and blind veneration of technology — quite to the detriment of our minds, our hearts, our hands (I wonder if the next generation of humans will be able to do anything with their hands at all, besides swiping a screen and poking with their thumbs). Young musicians today, in addition to working for 20+ years to master their craft, coping with social media, and finding money for rent and food, must fight the possibly unwinnable battle of survival for good music itself. They must be prepared to make enormous sacrifices, so that succeeding generations will have the desire to sit in contemplation for decent lengths of time, to concentrate, to appreciate messages of inward spiritual grace, to value the time and energy and commitment it takes to make personal discoveries in art. The audience for great music is simply disappearing, and it must not. For the very worth of our society, in cultural terms, is at stake. I’m not at all confident about this, by the way. But I know the rewards of struggling for quality, as opposed to shrugging shoulders and giving in to the ever-changing banal tastes of ones’ time. Bach, Mozart and Schubert knew that same struggle, very well. Every human being experiences the rough ride of existence, if they live long enough — personal relationships gone bad, deaths of friends and family, work difficulties, health issues. I have dealt with all of this, in addition to coming to grips with being transgender. 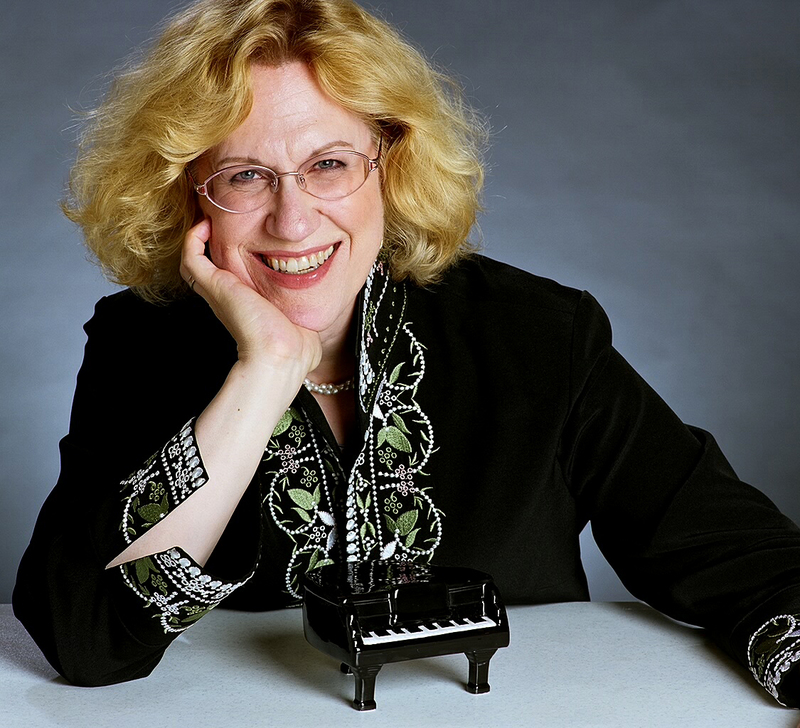 I was 38 years old when I transitioned from male to female, stopped playing concerts as David Buechner and began to play the piano as myself, Sara Davis Buechner. It would be impossible to understate how enormous that challenge was, and I would need a book to describe the inner journey of it all. For this interview, I’ll just say that the effect upon my performance career was horrendous — concerts dried up, invitations disappeared, lucrative teaching offers pulled off the table. At the lowest point of my life, I was dead broke at age 42, teaching little children in an upstate New York music school where my faculty colleagues had been my own students just a couple of years before. And you know, I learned to love teaching, and teaching small children, at that time. Partially because I needed to do so, in order to survive and thrive. But also because all my previous expectations as a privileged white male musician with big time manager and orchestral concerts and a big conservatory job was just wrecked beyond fixing — well, it enabled me to start building a true house upon a real foundation. And into that new house came these wonderful, beautiful, sublimely untalented little kids whose piano lessons became for me the opportunity to teach them not to play an instrument they had mixed emotions about, but rather simply to love music. I played games with them at the piano, chased them around the room when they got a little bored, shared candy with them, got them to laugh and smile and clap and sing. And within the context of that job which many musicians would consider lowly, I learned all about what is most important in music — just as I learned from being transgender and outcast, what is most important in life — to live, to enjoy, to be true to yourself and to others, regardless of others’ judgments upon you. That’s a long laundry list. Record more Bach-Busoni; record the complete Mozart Sonatas; record Japanese piano music of Nishimura, Nakada and Taku; record the three Brahms Violin Sonatas with Stephanie Chase (these are all in the planning stages now). Keep studying Japanese (I’m at intermediate level, struggling with the kanji at about 500 so far). Learn Spanish for my concerts in Latin and South America (I’ve started). Watch all the DVDs I’ve accumulated and never have time for. Take Latin ballroom dancing. Pick up my pencils and brushes again and draw and paint, not just doodle cartoons. Spend more time in Prague and Kyoto and Honolulu and El Barrio del Bronx and San Juan. Visit Indonesia and Vietnam and Cuba. Smoke fewer cigars, but better quality ones like the Trinidad (Fidel Castro’s fave). Learn how to make a reliable Gin Martini and Blue Hawaii. See the Osaka Hanshin Tigers win the Japan Series. I guess if I get to witness that, I can climb into my grave happily. That should be many, many years from now, if they keep playing like they are this season. Congratulations on your new recording of Beethoven’s Diabelli Variations. The new album is the latest in a line of recordings in which you present some of the greatest and most challenging works ever written for the piano. Beethoven’s Appassionata Sonata also features on the record… what inspired you to record these works? The most important thing for me, in deciding what to record, is to ask myself the question, ‘Do I have anything new, or unique, to say’. There’s a trend amongst pianists simply to record what might appeal to the public – often glittering, virtuosic works intended to impress, or else very standard and well-known works, which make for an easy sell. Personally, I need to record (and perform) only works that really challenge me intellectually as well as pianistically. For example, I always thought that the Diabelli Variations was probably a dull old work! I thought there must have been a reason why it is somewhat neglected. But, on studying the score, I found it to be such a magnificent, but hugely difficult, cerebral work, that it appealed to me on so many levels. I always want to try and create something fresh and absolutely true to my musical personality. There’s no point in recording something that actually sounds just like another pianist’s recording! That’s a trap so many pianists seem to fall in to. Take the Appassionata – it’s been recorded so many times, and so many of those recordings ape each other. I genuinely think my performance is slightly different: I don’t emphasize the angst and furious passion that the title would suggest. I see it as a mid-period Sonata in F minor – a very effective one, but still a Classical work, one that needs to push forward and keep going, and not linger on pent-up emotions. You have performed in the United States, UK, Japan, Sweden and Austria, in recitals, concertos and performances. Does audience appreciation and knowledge of classical music differ in these countries? If so, how and why? That’s such a brilliant question! I really think that audiences do differ by country in so many ways. The UK audiences are often very knowledgeable, but almost jaded in their outlook, so they tend not to be able to bring themselves to ‘gush’ in any way. US audiences do allow themselves to gush – they seem more open to embracing new performers and interpretations and, when performing, I feel them ‘with me’ every step of the way. Austrian audiences are scary! They often know the music SO well, have heard it all a thousand times, and often don’t expect to be impressed. So, when one is able to ‘crack’ them, and impart a performance they really ‘get’, it’s an incredibly gratifying experience. What motivates you to play piano? And that’s a difficult question! So many things, is the answer. But, need is the one closest to the truth. If I don’t play, then I literally crave the piano, so it’s like an addiction, albeit a wonderful one! Of course, there’s always the concert or recording schedule to consider, although, I’m not one to sit for eight or ten hours working at the piano in any case. I practiced SO much when I was younger, familiarizing myself with reams of the repertoire, that I now limit really focused work to an absolute maximum of four hours a day. Overall, though, the piano is like being in a very consuming and wonderfully needy relationship – it has a grip on me and, thankfully, it won’t let go. You have also released three other highly acclaimed albums with Nimbus Records: Bach’s Goldberg Variations (2011), Bach’s Keyboard Concertos with the English Chamber Orchestra (2011) and Chopin’s 3rd Sonata and 24 Preludes (2013). Why develop this long-term relationship with Nimbus Records? The Goldberg Variations was a work I first encountered when I was 12 and had only been playing the piano for a year. I absolutely fell in love with it, bought the score, and tried (in vain) to play some of it. I had a kind of love affair with it. But then I left it for decades – I knew it was a mammoth and difficult work, and I never actually imagined I’d learn and play it. So, when I did come to record it, it was like joining a dear, old friend on a life journey. It’s such a monument of a work! The Keyboard Concertos have a similar story to the Goldberg with me – I’d always had the scores and adored tinkling through them, so when the opportunity to record them came along I was in heaven. Chopin was, for me, a very odd choice, and, to some degree, a strategic one. If I had recorded more Bach, I’d have been typecast. If I’d moved to Beethoven or Mozart, I might have risked being labeled a pianist who avoids Romantic music. So, I had to find what I considered the most challenging (for me) Chopin, in works that I genuinely felt would suit my style and ethos. I believe Chopin is a master of direct emotion and not necessarily the composer of wishy-washy played Nocturnes! But again, with all of the above recordings, I absolutely had to choose works that I felt I could impart me on. You retired from playing completely for 15 years. Why? It was a self-imposed break from playing, and one from which I never thought I’d return. During those years I hardly ever touched a piano, although I constantly heard and ‘played’ music in my head. It was an incredibly enriching time, though. I made myself familiar with so much other music, but primarily the operatic repertoire. I was constantly ‘learning’ new operas, and then travelling (mostly abroad) to hear them performed. I also wrote a memoir of my life, which was a complete change in discipline, in the sense that writing engages the mind in such a different way to a piano-trained one. I also lived abroad for many of the retirement years. And, all said and done, I have to say that everything I did and experienced has really made me ‘gel’ as a pianist now I’m back at the keys. Life experience brings the greatest of all understanding and wisdom. Your musical training began as a chorister at Westminster Abbey, you then entered the Royal College of Music at the age of 15 as a junior, attending full time from the age of 17, studying with Yonty Solomon. How did your early music education shape you as a pianist and musician? Did any tutors/professors create a lasting impact on you and why? I think my choral training at Westminster Abbey was invaluable in that it gave me a real appreciation of vocal line – on which, let’s face it, all music is based. I still vividly remember and musically feel those days of choral training, and I utilize things I learnt. Studying with Yonty Solomon was life changing: apart from being a superb pianist, he was literally bursting with creativity and good taste, and he inspired me to really explore and, most importantly for any pianist, listen. I was young and almost bubbling-over with the love of music. I wanted to play everything. Yonty reigned me in and made me focus on finesse and the ability of making performances work for audiences. As I sit at the piano working now, I still often imagine Yonty sitting beside me, and almost hear him commenting, enthusing and suggesting. Teachers like that are to be cherished. Which living pianists inspire you and why? Very few. Not because I don’t admire them, I do, but because I genuinely believe that inspiration comes from one’s own musical and life journey. Plus, I happily admit that I rarely listen to other pianists – other interpretations can corrupt one’s own vision of works. Plus, I think the days of grand-old pianism have all but vanished. For that I blame the (mainly European) industry for promoting a new face every week. Do you have any musical regrets? Would you change anything if you could go back in time and do so? In some ways I wish I’d been born forty years earlier! These days, the music industry has lost sight of what audiences want, so it’s no wonder audience numbers are declining. The industry focuses on the young; something I feel is a huge mistake. Audiences of the past wanted seasoned, regular faces on the stage, not the latest prizewinner who will be unheard of in a few years time and replaced by yet another. Of course there is room for younger players, but it’s an insult to performers past and present for us to be told that these youngsters are the greatest things since sliced bread! Do you think there’s too much pressure on young aspiring pianists today? How difficult is breaking into the classical music scene? The pressure comes from so many pianists wanting careers and so few being able to break through to make their dream a reality. So, competitions exist, thus putting huge and anti-musical pressure on those who simply want to play. If we imagine how many pianists are graduating each year, internationally, from good music schools, it must run into thousands. And a huge number of them will be really good players. How on earth can they all be accommodated in the profession? It’s mind blowing. Do you have advice for young aspiring concert pianists who wish to develop successful careers as musicians? My advice would be: only pursue this if you absolutely can’t live without it. I hope that doesn’t sound cynical. I just think it’s such a hard career to break in to, and so much heart-break would be avoided if pianists just looked at the state of the industry and decided if they really want to go down a path that is as dodgy as playing Russian Roulette. What is the biggest challenge that you have overcome as a pianist? The biggest challenge for me was deciding to make a ‘comeback’ after so many years away from the piano. I had no idea if I would be recognized or appreciated in any way, or even if I’d be taken seriously. It was with a lot of support and a huge leap of faith that I was able to put myself into the public arena and wait for judgment, as it were. Luckily, it worked out well. But it so easily could have been the comeback that never was! 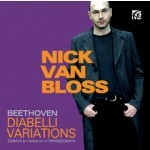 Nick’s latest album Beethoven’s Diabelli Variations is out now on Nimbus Records. Valentina Seferinova – One of only a handful of musicians worldwide to have been invited by the Trustees to play in the Yvonne Lefébure Auditorium at the Claude Debussy House & Museum, St. Germain-en-Laye, Paris on the Anniversary of the Composer’s birth. When and how did your interest in music and the piano start? Actually music played big part in my upbringing. My Mum & Dad never played a musical instrument but both loved music & adored singing. So from a very early age I was listening to classical music & I loved singing. My older sister started playing the cello when she was 9 or 10 years old. Soon after my parents bought a piano as her teacher told my parents that she should start playing the piano as a second instrument. When the ‘Riga’ (a Soviet union made piano) arrived, I fell in love with it & wanted to start playing it straight away! Although at that time I was only nearly 6 years old, inside me I knew that’s what I wanted to do for the rest of my life! Unfortunately at that time my Dad said that I couldn’t start piano lessons until I completed year 1 at school and I can read, write, spell, count, add & subtract… I had to wait almost 16 months! But when I was allowed to start to learn the piano, nobody could stop me! After just under 2 years of playing the piano, I won a prize at a national competition, competing with children who have been playing the piano for 5 or 6 years! I was so happy. Can you tell us a bit about your most recent work…? There are many projects that I’m currently working on. I’m still in the process of completing Rozycki’s solo piano works recordings, Wienawski – 2 pianos works with my piano duet partner Venera Bojkova. Reviving & promoting long forgotten music has been and is my passion! There is so much music out there that had an important role in its own time but for various reasons it was neglected or forgotten :-(. There is so much music out there that needs bringing to life. I don’t think anyone’s life is long enough to revive it all. But I know there are more people like me around the world & together we can fill in those gaps. What is the most difficult thing you have had to overcome as a pianist? I guess the most difficult thing was the very beginning. As I wanted to be able to play as soon as possible, I had to cram in lots. I do remember practicing in the evening (it must have been in the first few weeks of my piano experience): there were power cuts at the time and I had to use a candle on the top of the piano; I was struggling – reading, finding the notes on the piano with the correct fingers… soon I was in tears. My Mum came to the room & said: “Valya (short for Valentina), if you are finding it too difficult, we can stop piano lessons.” But I was firm: “I want to play the piano, I want to be a concert pianist!”. There are no impossible things – what you need is to really really want it & to put the hard work in. My Professor used to say: 1% talent & 99% very hard work! I would agree. What makes a great concert pianist? I guess the answer to that question is in the last sentence of the previous question’s answer. Seriously, there are many qualities needed to become wonderful musician & brilliant instrumentalist, but the essentials are: talent plus lots and lots of very hard work for many years. But believe me – it’s worth it! I forgot about my tears within a week & I enjoyed (and I’m still enjoying) every second of my piano practice & playing. In fact it was my Mum who reminded me about my about the struggle at the beginning about two years ago, I had totally forgotten about it. Which other living concert pianists influence you and why? Do you know, that’s really hard to answer! There are so many of the living pianists that I admire and especially Martha Argerich – as a female role model of a pianist & musician. However, most of the pianists whose playing I love & admire are dead. Sometimes I think to myself: I must have been born in the wrong time. I still listen to many old recordings of the 20th century – Rachmaninov, Horowitz, Richer, Myra Hess… the list is endless! And I adore their poetic playing, you can’t find nowadays the living and breathing and phrasing that speaks & touches you as much as that of the old masters! I do hope somehow we’ll be able to retrieve it & find it again – the new generation would benefit from that tremendously! Any advice to young pianists out there who wish to pursue a career as concert pianists? I probably would repeat myself but as with anything in life, it requires very hard work, persistency (and maybe a bit of luck) and believing in music & in yourself. If you don’t, you won’t be able to make it. I know it’s very hard and sometimes it might feel like giving up but every time you hear the applause, you feel the affection, you see the excitement of the audience, wanting more, you know it’s worth it! I do hope for lots of things as we all do. But I’ll say I hope for health, love & peace in the world, and then all our hopes & dreams can come true.